Awesome contrast of colors on this resumé. 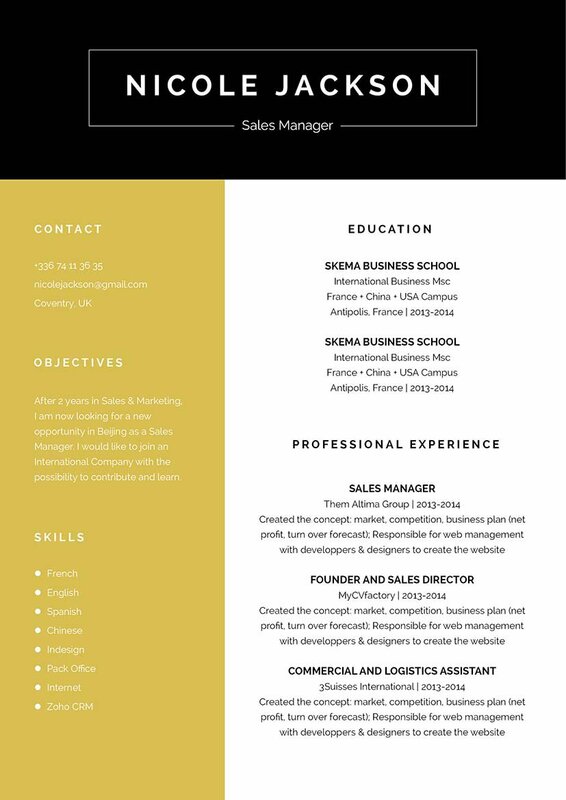 CV template to download "Lunatic"
The Lunatic Resume has contrasting colors that perfectly highlight all the its content! This original CV features select colors, symbols, and texts that give you an attractive resume design, which is a perfect fit for any job type, and is sure to be of great help for applicants that have a solid work experience and skills such as yourself as all your qualifications are clearly presented with its well-laid out format. This resume is sure to land you that dream job! How to build a more attractive resume format? 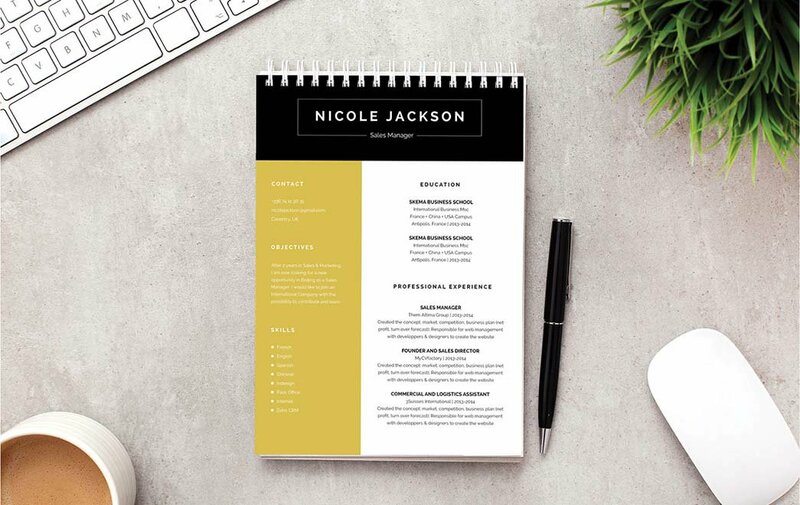 That's simple—all you need is a comprehensive and effective resume design. With that resume you will surely get hired! One of the key aspect in making a good or even perfect resume is its over-all look and design. A resume is typically scanned for 10-30 seconds—it doesn't get fully the first time through! Therefore, all your information must be written in a well-organized structure. To achieve this, use Seriff and Sans Seriff fonts to give your resume a more professional look, choose a font size between 11 and 12, and use italic/bold font styles to help guide the reader's eyes along your resume. Graphics and symbols can effectively highlight the key parts of your cover letter. While headings and subheadings can give more emphasis on those parts and give your resume a logical format that is easier to follow.